Kelly, eller N CH Callip's Blue Dream, som hun heter, er født 27.02.2015 her hos meg. Hun er fra et kull på 5 tisper, men dessverre måtte vi gi slipp på en av dem. Kelly er en veldig artig hund! Hun har mye av alt egentlig :-) Masse motor, masse mot, masse meninger, masse gjeting, masse vakt, veldig snill, veldig pen og veldig stabil mentalt. Hun er en litt annen type enn de andre mine, som ikke lar seg plukke på nesa, og står for sine meninger ;-) Men, hun har aldri vært slem med noen, eller startet noe trøbbel. Hun ble mestvinnene collie korthår i 2016, og 3. mestvinnende tispe i 2017 i norsk collie klubb. Hun er norsk utstillingschampion og har CERT og CACIB i Sverige. Hun er HD: A og ED: 0 Hun er øyelyst uten anmerkninger som valp og har ett feilstilt øyehår som voksen. 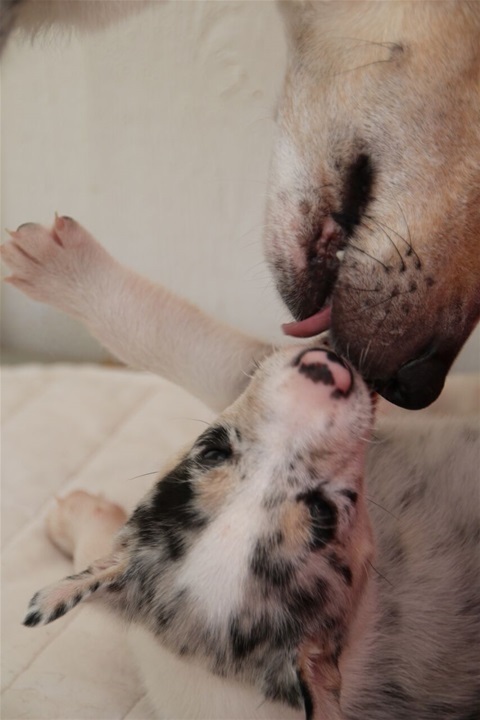 Kelly, or N CH Callip's Blue Dream, which is her real name, was born 27.02.2015 here with me. She is from a litter with 5 females, unfortunately we had to let one of them go. Kelly is a very funny dog! She has a lot of everything :-) Good workingcapacity, courage, a lot of meanings, lots of herding, guarding, very kind and gentle, very pretty and mentally very good. She is a bit different in type than my other dogs, and none is arguing with her. She means what she says, and says what she means ;-) She has never been rude to anyone, or started any trouble though. 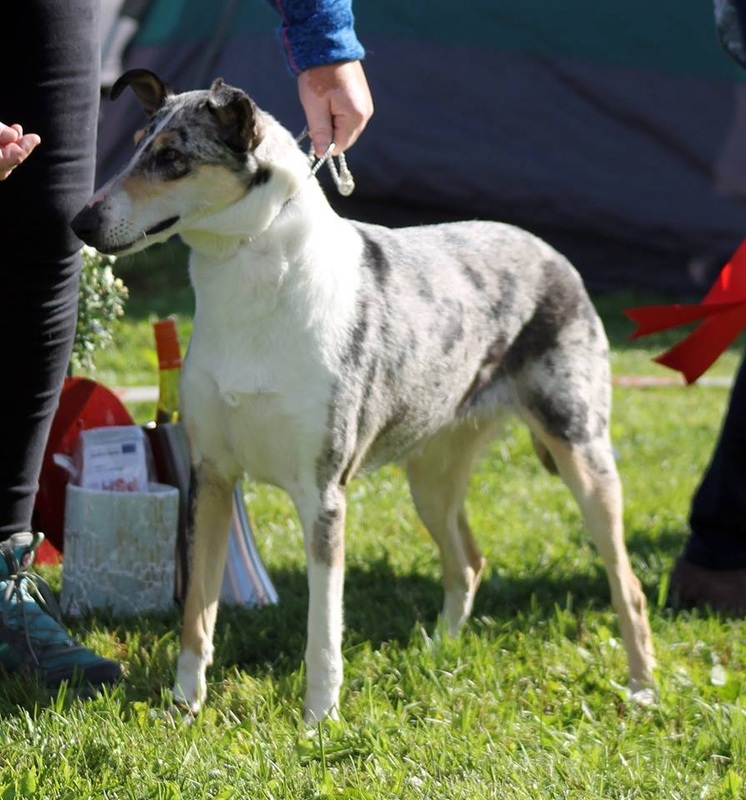 She is the most winning smooth collie in clubshows, 2016, and became third on the list 2017. She also has CAC and CACIB in sweden. Kelly is hipscored with A and elbows 0. She is eyechecked free as a pup, and with one eyelash out of place as an adult.